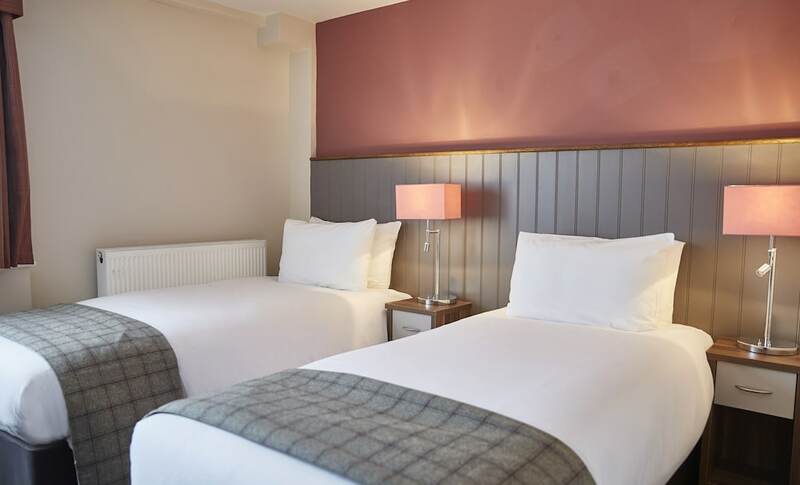 Located in Dundee, Fisherman's Tavern Hotel - Inn by Greene King Inns is within a 15-minute drive of V&A Dundee and University of Dundee. This inn is 9 mi (14.5 km) from Carnoustie Golf Links and 16.3 mi (26.2 km) from University of St. Andrews. Make yourself at home in one of the 12 guestrooms. Complimentary wireless Internet access is available to keep you connected. Bathrooms with showers are provided. Conveniences include coffee/tea makers, and cribs/infant beds (complimentary) can be requested. This smoke-free inn has 3 floors in 1 building and offers complimentary parking nearby. At Fisherman's Tavern Hotel - Inn by Greene King Inns, enjoy a satisfying meal at the restaurant. Quench your thirst with your favorite drink at the bar/lounge. A complimentary English breakfast is served on weekdays from 7:00 AM to 9:00 AM and on weekends from 8:00 AM to 10:00 AM.